Tulane School of Architecture - "Hidden Gems of Architecture Education." More than four years after Hurricane Katrina, the Tulane School of Architecture continues to garner national attention for its community projects focused on the renewal of New Orleans, the latest coming in the school's ranking as one of the nation's "Hidden Gems of Architecture Education." Mine too. A nice little accolade there. I noticed that the URBANBuild and the school of Architecture was also mentioned in The Atlantic's November Issue on post Katrina New Orleans architecture. I enjoyed the Sundance Channel show although I wish it could have been on basic cable. 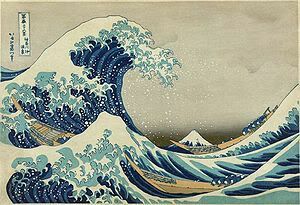 Wave on wave of green, wave on wave, until the waves melted into each and became a verdant sea.